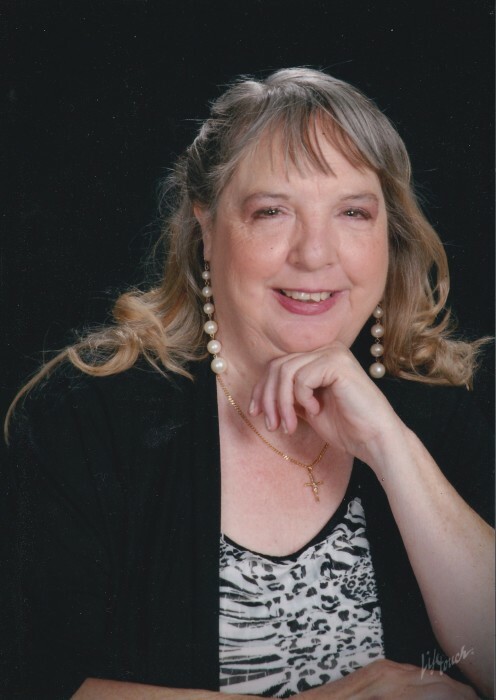 Deborah A. Sullivan, 64, of Portland, TX went to be with the Lord on August 11, 2018. She was born in Waco, Texas on August 10, 1954. Debb was a very talented artist. She retired from CCISD as a graphic artist after 29 years. She loved being with her family and friends. She was an active member in her church, Our Lady of Mount Carmel Catholic Church, devoting time to many organizations within the church; including secretary of the Catholic Daughters of America. She was also an active member of the Art Center of Corpus Christi, being on various committees. She is preceded in death by her parents, Thomas and Mary Sullivan and brother, Robert Sullivan. She is survived by her sister, Gail Wagner (Bud Wagner), nieces; DeeAnn Wagner (Dustin Cockrell), Jill Wagner Sanchez (Arturo) and her three grand nephews: Oliver, Everett, and Arthur Cockrell. Visitation will be held on Tuesday, August 14, 2018 from 5-7 PM followed by a Rosary at 7 PM at Limbaugh Funeral Home in Portland, TX. The funeral mass will be held at Our Lady of Mt. Carmel Catholic Church on Wednesday, August 15, 2018 at 10:00 AM. A graveside service will be held at 2:00 PM at Mt. Calvary Cemetery in Refugio, TX. Donations can be made in Deborah’s honor to The Art Center of Corpus Christi, Catholic Daughters @ Our Lady of Mt. Carmel Catholic Church and the Kidney Foundation.